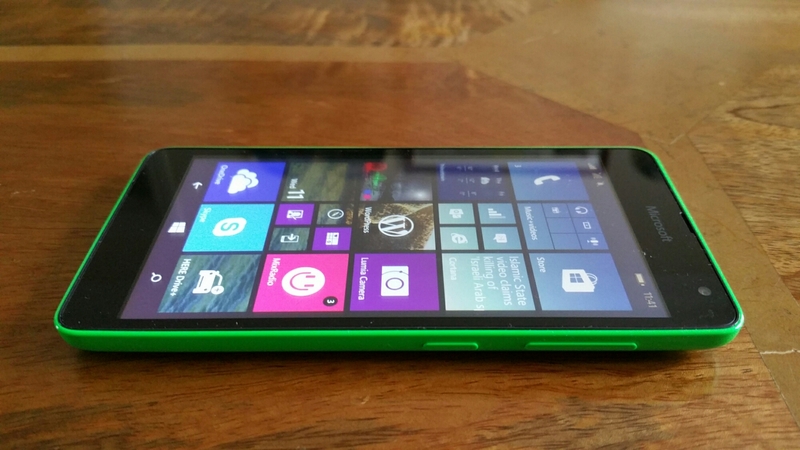 Welcome to my review of the Microsoft Lumia 535. 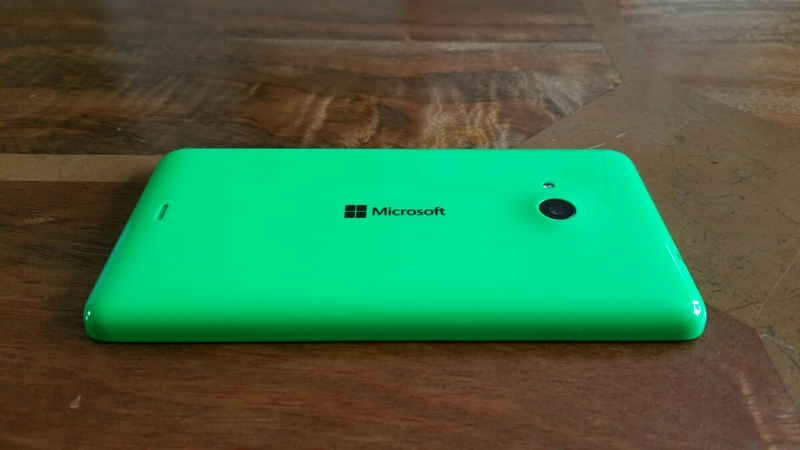 The Lumia 535 has a 5 inch IPS 960×540 screen, 9mm thick, 140x73x8.8mm and weighs 146g. The screen has 220ppi and is covered with Gorilla Glass 3. Microsoft include a quad-core Snapdragon 200 CPU running at 1.2GHz with 1GB of RAM. 1gb of RAM on a Windows Phone is plenty for most tasks as the operating system is not resource heavy. You get 8GB of storage with just over 4GB user available, but expandable with a micro SD card by up to 128GB. Finishing off the specs, the 535 has 802.11n Wi-Fi, Bluetooth 4, GPS, ambient light and proximity sensors but just 3g coverage. There is no 4g. Windows Phone has many strengths. It has now been over 14 months since I last had a Windows Phone. Since returning to the platform I have noticed a number of improvements which now make this phone and the platform so much better to use. The first pleasant surprise was being asked would I like to restore from my last backup some 14 months ago. I opted to go down this route and all just like that I was back in business. I have always liked the home screen tiles, that display all your information at a glance. But now there are home screen folders, a notification centre, Cortana, Skype baked in, and all the usual Microsoft Office, OneDrive, Here Drive offline navigation and more. Cortana really is a clever piece virtual assistant that so far has been marvellous. The 535 has 5mp cameras front (wide angled) and back and in good light they are able to capture some lovely shots. See samples below. I did find the shutter speed not to be the quickest but I was surprised by the output. The phone comes with the Lumia Camera app which squeezes everything possible out of the optics. Manual modes are present too. Additional camera modes or lenses include Panorama, Refocus, Selfie, Storyteller and for editing you have Lumia Creative Studio. Other included apps are FM Radio, Microsoft Health & Fitness, MixRadio, Podcasts, Microsoft Sport, Travel, Weather and News. A Wallet app is included for keeping track of boarding passes, tickets, deals and more. The auto brightness did not adjust the back light enough in bright sunshine but manually adjusting brightness to max made the screen readable. The loudspeaker is ok. It goes loud but is a little tinny. The speaker grill is located on the back of the phone. Sound via the headphone socket was above average and had a decent volume too. The Microsoft Lumia 535 is currently available for £59.95 on Pay as You Go, which for some will be ideal.